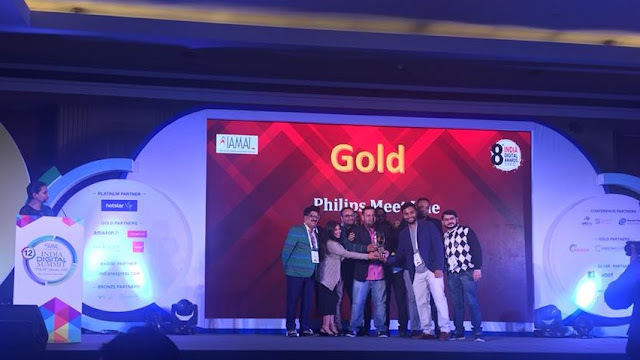 New Delhi, January 25, 2018: Havas Media wins gold for Philips Lighting’s Meet Hue campaign in the Best Digital Integrated Campaign category at the 8th India Digital Awards by The Internet and Mobile Association of India (IAMAI) held on January 18 at The Lalit, New Delhi. The campaign’s objective was to introduce smart living via smart lighting. Meet Hue by Philips is a ‘smart’ lighting system for your home that gives you full control over every aspect of your lighting. A product that helps you create just the right setting, mood or ambiance for every moment. With the Hue system one can set the lights to turn on when you arrive home and turn off when you leave. Or better yet, set it to switch on and off at specific times so that it looks like someone is home even when you are out, hopefully a deterrent for a would-be thief, as smart home stuff don’t come cheap. With the objective of driving awareness and education amongst a mostly ‘banner-blind’ audience, a variety of media vehicles across domains were deployed leading to a 200% increase in registrations for home demo.